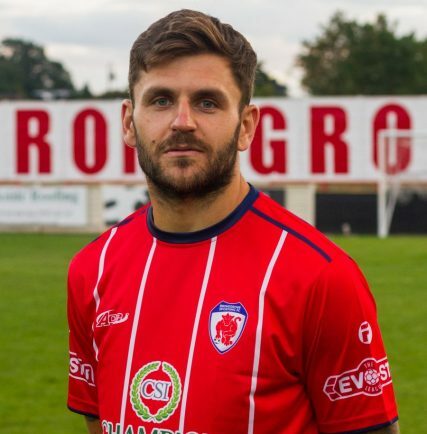 Bromsgrove Sporting skipper Craig Jones writes for The Standard in his weekly column, providing his thoughts on last weekend’s loss to Dunstable Town, and looking ahead to returning to winning ways against Thame United on Saturday. SATURDAY was a disappointing day all round. Unfortunately, we weren’t good enough all over the pitch. It’s easy to point fingers, but I think it’s important to self-reflect individually before talking about what went wrong as a team. Credit to Dunstable, their formation caused us problems as well as the way they broke out from defence. Had we held onto our lead for longer than we did, I think it would’ve been a different game. There’s never a good time to concede but we conceded at really poor times; right after we opened the scoring and immediately after half time. Their keeper made some great saves and if we’d have scored earlier then maybe we would’ve got something from the game, but it’s all if’s and but’s now. It’s important that we throw everything at our next game, this Saturday at home to Thame. They’re having a good season themselves and gave us a real good game at their place earlier in the season, so it will be another tough encounter. All the talk of where we want to finish and what we want to achieve needs to stop, our next game must always be the focus. We had great, vocal away support on Saturday and hopefully that’ll be matched again this weekend at the Vic. Hopefully we will be celebrating 3 points in front of a packed out shed come 5pm.